We’ve already spoken about the Charactersmith feature in the game and how you can personalise your in game experience. Now we take a look at Gunsmith, the ultimate weaponry personalisation. There are over 50 customisable weapons available in Ghost Recon Wildlands. With an endless choice of adaptable gameplay to suit your playing style, you’ll be able to create a gun, just how you like it. The brilliant part is that the Gunsmith is available at any time during the game in the menu, where you can get a complete overview of your arsenal. You can apply paint to the whole of your weapon, or individual parts. Over time your weapon will become dusty, greasy and obtain scratches and wear and tear from combat, which will affect the appearance. You will be able to clean your gun or repaint it at any time by accessing the menu. With over 100 attachments available and 10,000 possible combinations, creating your own unique weapon is a thrilling experience. You’ll also unlock extras and special mods that add to the incentive of missions. Here are some of the attachments available across weapon classes. The Gunsmith feature is available at any point during the game. 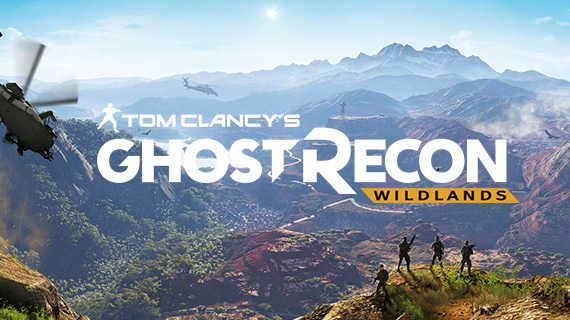 Check out our Ghost Recon Wildlands weapons article for a breakdown on arsenal.